Accessing healthcare and facilities is a big challenge for elderly all over the world, especially in hilly and mountainous rural areas. Mandi district of Himachal Pradesh is no exception. 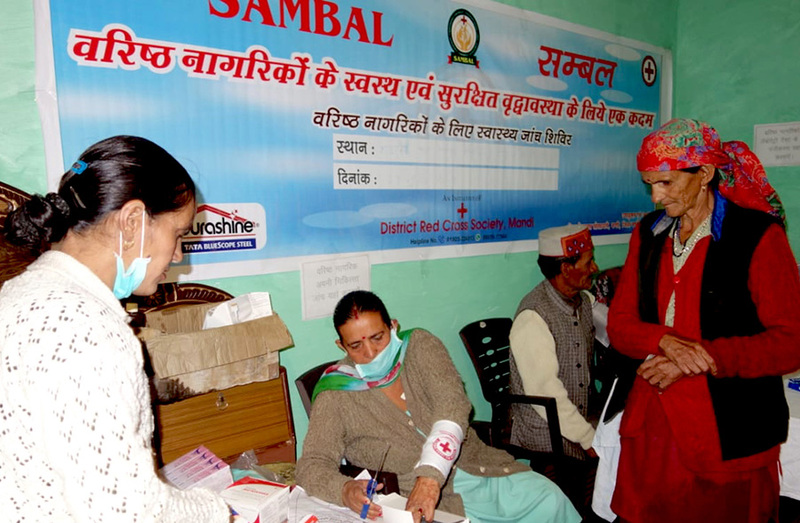 The District Branch of Indian Red Cross Society and District Administration have joined hands to bring healthcare services to the doorsteps of citizens over the age of 60 years in rural areas of Mandi. The proportion of senior citizens in the overall population continues to grow. By the middle of this century over 300 million people over the age of 60 will be added to India's population. In Mandi itself, during the past decade (2001-2011), the reported number of senior citizens has grown from 9.31 to 10.75 percent. This is an increase of 1.45 percent. 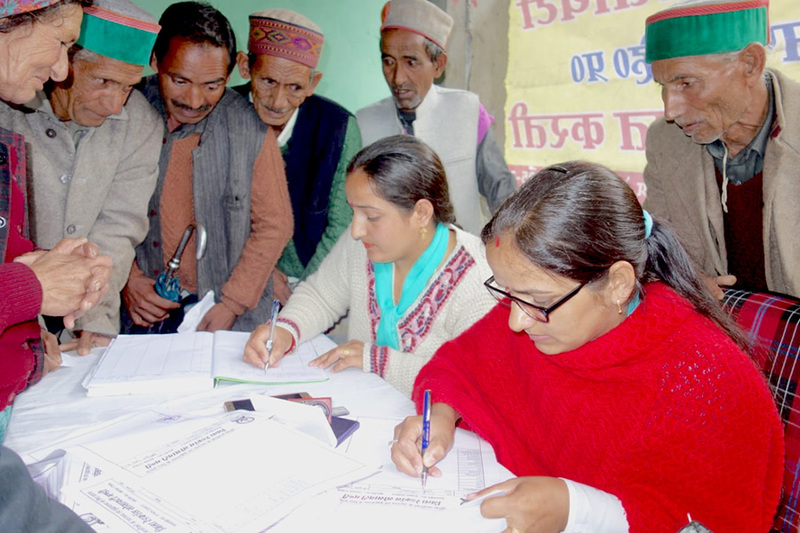 For diagnostic support blood and other samples are collected from the houses of senior citizens and their reports are delivered to them in a week’s time. Provision has been made to provide even medicines at home based on a doctor’s prescription. As a part of this initiative a camp was also organized recently in Siraj Valley. The camp was inaugurated by Mr. Raghav Sharma, Additional Deputy Commissioner, Mandi in which Red Cross branch officials were also present. 140 patients registered for the camp. They were examined by the doctors and medicines were also provided to them. Diagnostic facilities were also available for the needy patients. Majority of the patients were found to be suffering from high blood pressure, respiratory problems, diabetes, cataract etc which needed early detection, management and care. Senior citizens in need of medical treatment were referred to a hospital by the doctors where they shall be provided free treatment. Expenses on the treatment will be borne by the IRCS Mandi District.